The hairdressing team at Aidan Garlington Hair Design are celebrating this week, following the announcement that our Baldwin Street hair salon celebrates 10 years in Bristol. 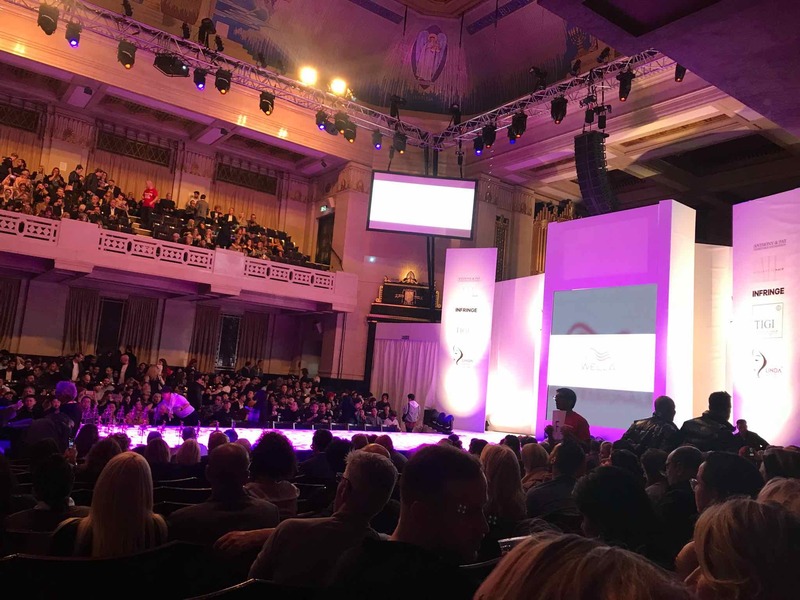 Salon Founder and Creative Director Aidan Garlington established the central Bristol hair salon after a solid career in professional hairdressing. 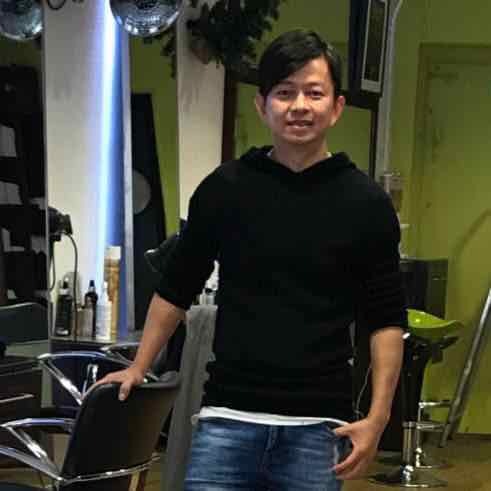 He wanted to provide clients with a central Bristol hair studio that delivered consistent and cost-effective hairstyling, hair colouring and hair treatments for all clients. 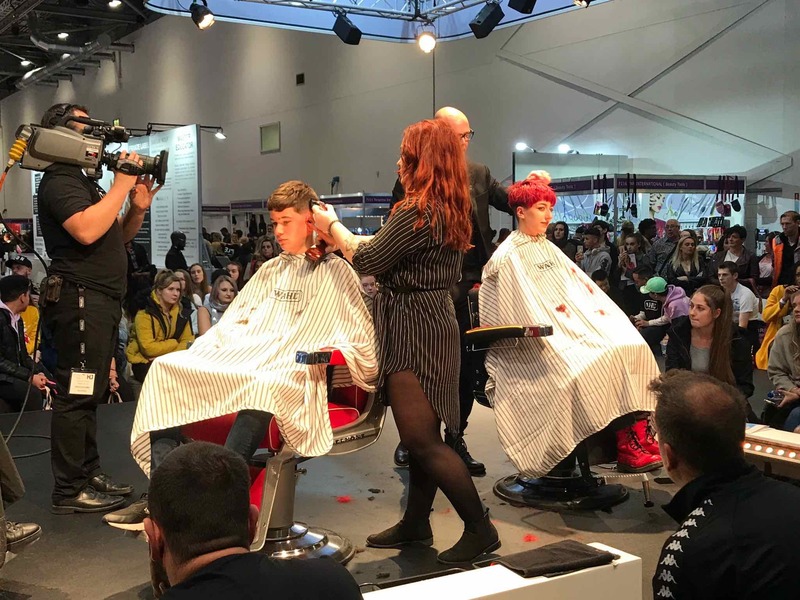 Aidan is one of the most well-respected professional hairdressers in Bristol, having gained a L’Oreal specialist colour degree. 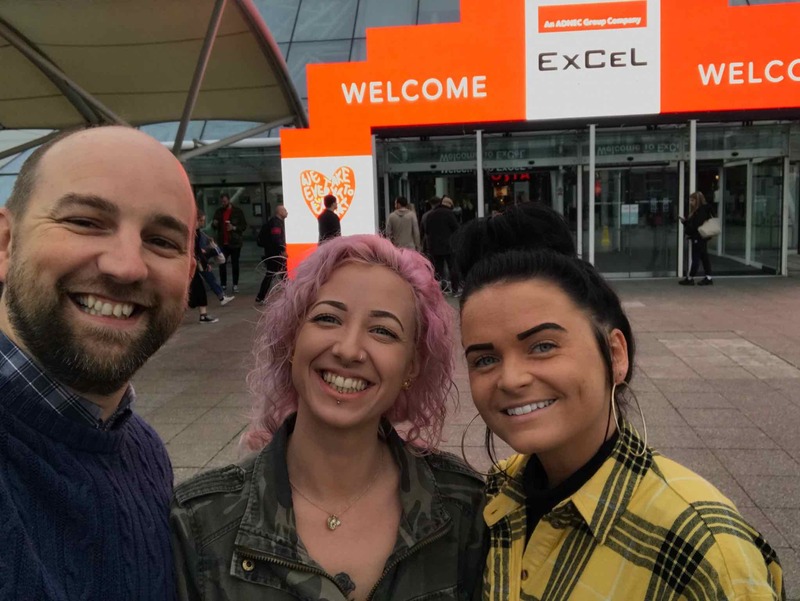 Recent highlights for the hairdressing team at Aidan Garlington Hair design have included visiting the main annual industry events Salon International and The Alternative Hair Show. Matthew is a hair straightening expert, whilst Lisa has been entered to compete in a national hair colouring competition later this year. Aidan has specialist haircutting skills, including hair extensions and all aspects of hair care and health hair maintenance using the best hair treatments in Bristol. Our team also provides the full range of men’s hairdressing and male grooming services in central Bristol for new and existing male clients. After a decade on Baldwin Street in central Bristol, the salon is going from strength to strength, with a commitment to eco-friendly practices and products, including Easy Dry towels and refillable hair products in-salon. 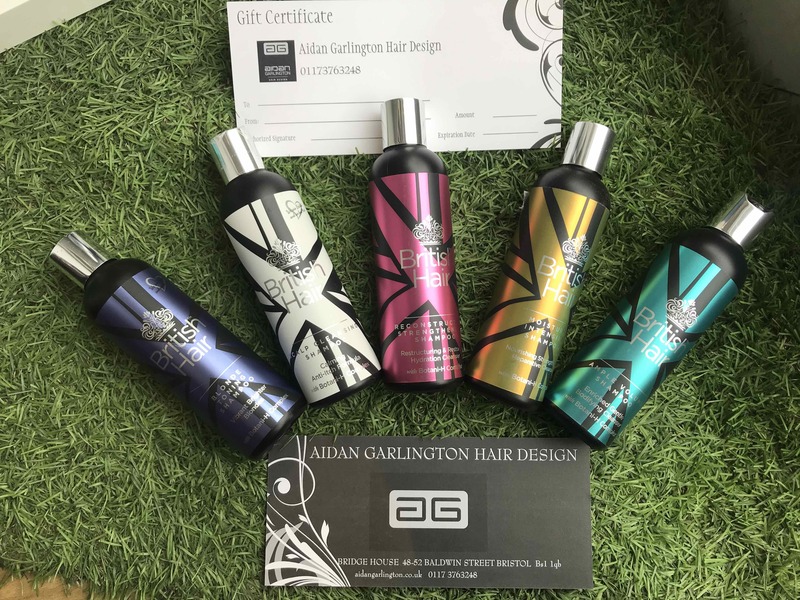 Aidan Garlington Hair Design also stocks some of the leading brands in hair care, hair styling, hair conditioning and hair straightening for women and men, including GHDs, Cloud Nine, L’Oreal, Seb Man, Moroccan Oil and more. To find out more about our latest News and hairdressing tips, please visit here. 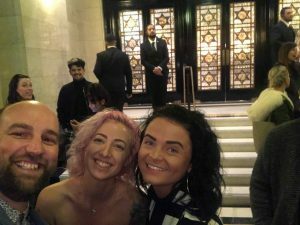 To book with one of our team of Bristol hairdressers, please visit here. 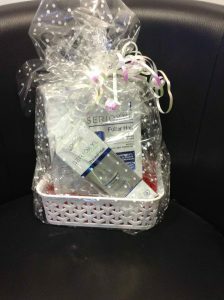 To see our full range of hairdressing products, hair colouring, hair conditioning products, Olaplex hair treatments, Christmas party hairstyle ideas, red hair colouring products, Moroccan Oil gift sets and products, Autumn hairstyle choices, salon shampoos, Source Essentielle hair products, nourishing shampoos, barbering services, hairdressing services, British Hair products, blonde toning shampoos, Undercut hairstyles, British products, hair moisturising treatments, hair care, highlighting, hairdressing, British Hair products, hairstyling equipment, hair straighteners, hair curlers, curling wands, hair treatments, hairstyling services, hair toning, hair colouring, haircuts, creative cutting, hair styling equipment, haircuts, and hair extensions we offer, please get in touch here. It’s that time of year when clients are looking for Mother’s Day gifts, and we’ve got a great selection of offers available at our central Bristol hair studio. 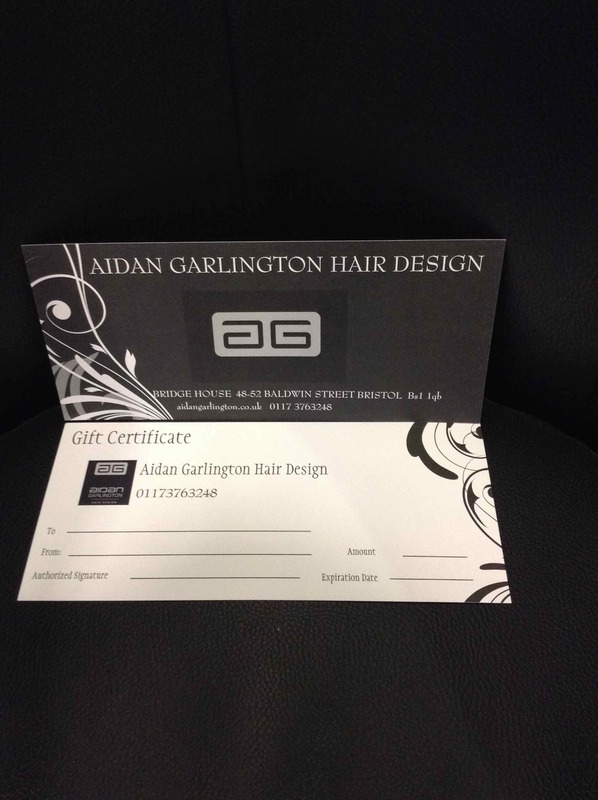 The first gorgeous gift to consider for Mother’s Day in Bristol this year is one of our hair salon gift vouchers. And to give the perfect present for Mother’s Day this year, if you purchase a gift voucher for a cut and finish at our Baldwin Street salon, you’ll also get a British Hair shampoo worth £9.95 for free. 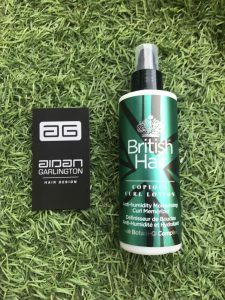 Our team of hairdressing experts will guide and advise on the best British Hair shampoo to give ensuring that the free gift perfectly suits your mum’s hair. 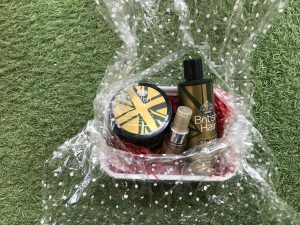 The next Mother’s Day gift to tempt clients this year will be a special Mothering Sunday gift hamper, containing a range of leading hair products. 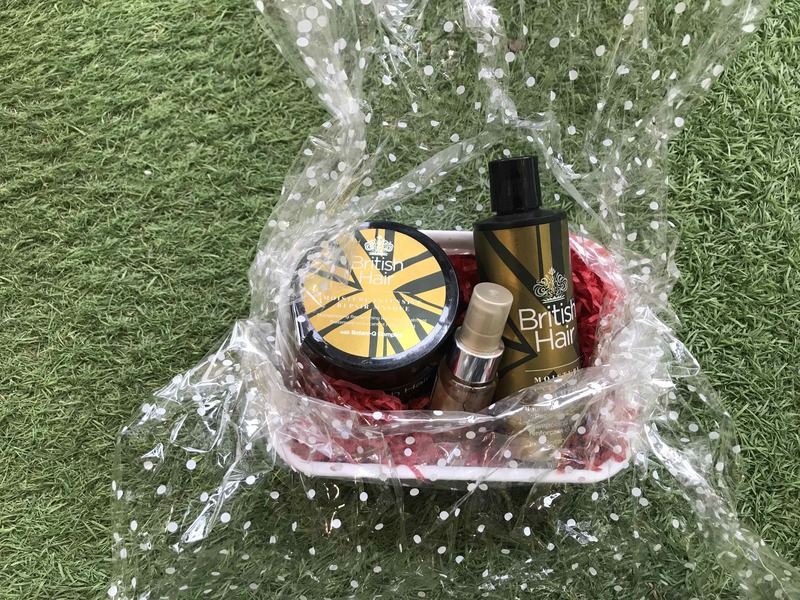 Each gift hamper contains a British Hair moisture shampoo worth £9.95, a British Hair moisture masque worth £11.95, and Wella Luxe Oil worth £13.95. The Mother’s Day Hampers only cost £25 each. Our third Mother’s Day gift option for 2019 in Bristol is any client booking in for a full head colour, cut and blow-dry can also get 50% off the cut. This offer could save you between £18-25, and will give your mum a lovely surprise for Spring with help on hand from our expert hair colouring team. All of the above offers are available in-salon until Sunday 31st March, and are subject to availability and while stocks last. Please mention the Blog post when you purchase a Gift Voucher or the half-price cut deal with hair colouring and finish service before Mother’s Day. 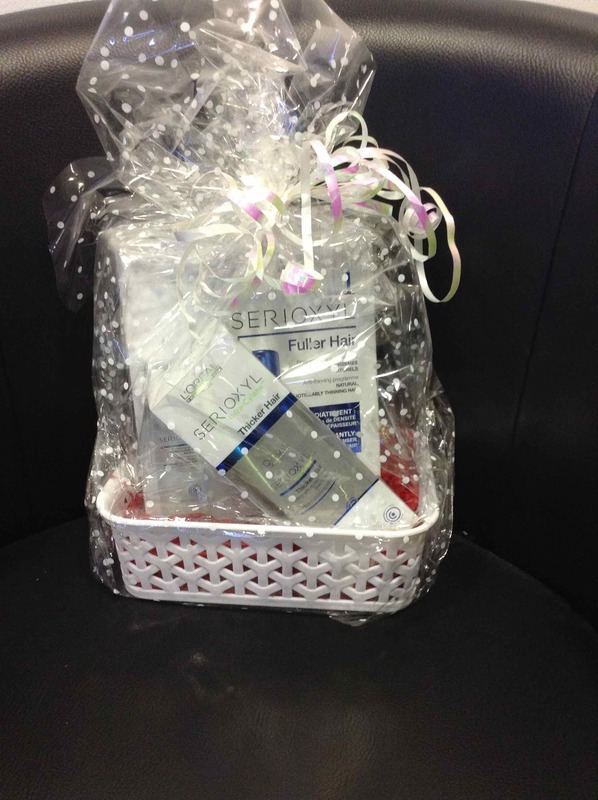 To see our full range of hair product and hairdressing service gifts, Olapex hair treatments, women’s hair colouring services, men’s hair products, hair stylists in central Bristol, ranges of British Hair products, hair colouring, hair conditioning products, Olaplex hair treatments, Christmas party hairstyle ideas, red hair colouring products, Moroccan Oil gift sets and products, Autumn hairstyle choices, salon shampoos, Source Essentielle hair products, nourishing shampoos, barbering services, hairdressing services, British Hair products, blonde toning shampoos, Undercut hairstyles, British products, hair moisturising treatments, hair care, highlighting, hairdressing, British Hair products, hairstyling equipment, hair straighteners, hair curlers, curling wands, hair treatments, hairstyling services, hair toning, hair colouring, haircuts, creative cutting, hair styling equipment, haircuts, and hair extensions we offer, please get in touch here. 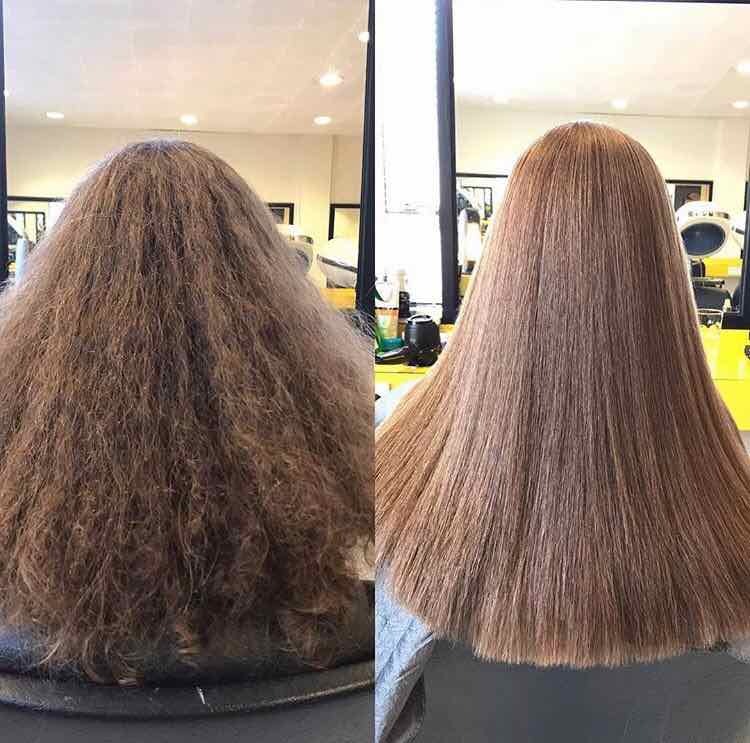 Clients visiting our Baldwin Street salon have been asking for the perfect Spring haircut in Bristol – and our answer for 2019 is Hair Lightening with Olaplex hair treatment. Spring is only weeks away, and it’s a great time of year to consider lightening hair whilst also conditioning and treating it in preparation for warmer weather, to reduce sun damage, dry hair issues, as well as looking great for Spring. The client example above last week is a great showcase for our Bristol hair lightening and Olaplex hair treatment. The client came into the salon with very long hair, and asked for us to cut the majority of the length off before starting the hair colour service. The cut hair was foiled in diagonal sections, with a two-inch gap in colour application to the scalp. Although a classic Balayage hair colour is usually applied freehand, we used foils as the client wanted the hair to be as light as possible. The heat from the foils also helped the hair colour to lift further. 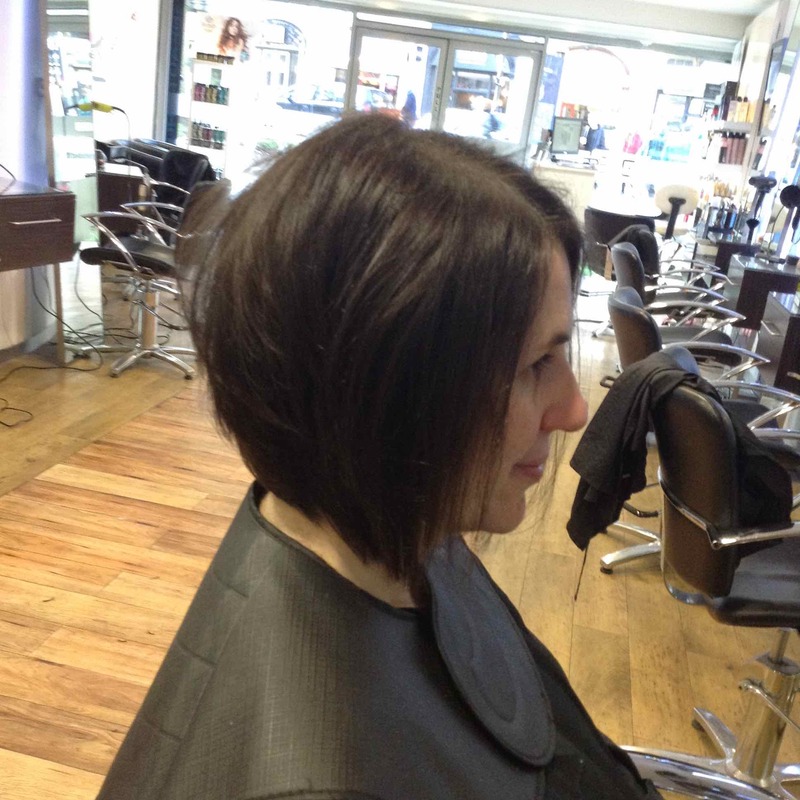 Once the hair colour had lifted to the client’s required lighter shade, we toned it with a light ash toner, then cut off another two inches to reach Bob length. Olaplex hair treatment was used in the bleach and toner, to re-build hair bonds that can be broken down in the hair colouring process. 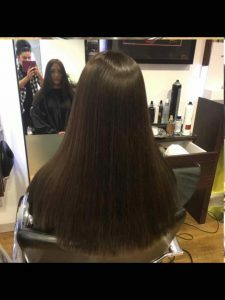 We recommend using Olaplex with every hair lightening service at our Bristol hair salon, as it helps to retain and strengthen the integrity of hair. The hair was then blow-dried smooth, then curled with a Cloud Nine Styler to create gorgeous big loose curls for the client. 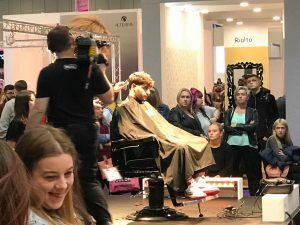 The above cut, hair colouring and Olaplex hair treatment service usually takes between 3-4 hours, and costs from £142.50, depending on the stylist. This cut and colour would, of course, be cheaper without an Olaplex treatment and the application of an extra toner, as this client requested. We also recommended that the client uses silver shampoo to ensure the lighter hair colouring stays bright, as well as cancelling out any brassy tones that may develop once the toner starts to wash out. We also provided a Blondifier resurfacing and illuminating hair masque to use as a conditioner – this has been developed specifically for blonde hair, and is a superb hair conditioning product for adding in moisture removed by bleach. The client also had a full and free hair consultation with one of our expert hair colourists in Bristol before proceeding with this transformational hairstyling. To see our full team of hair colouring, hair lightening, Olapex hair treatments, women’s hair colouring services, men’s hair products, hair stylists in central Bristol, ranges of British Hair products, hair colouring, hair conditioning products, Olaplex hair treatments, Christmas party hairstyle ideas, red hair colouring products, Moroccan Oil gift sets and products, Autumn hairstyle choices, salon shampoos, Source Essentielle hair products, nourishing shampoos, barbering services, hairdressing services, British Hair products, blonde toning shampoos, Undercut hairstyles, British Hair products, hair moisturising treatments, hair care, highlighting, hairdressing, British Hair products, hairstyling equipment, hair straighteners, hair curlers, curling wands, hair treatments, hairstyling services, hair toning, hair colouring, haircuts, creative cutting, hair styling equipment, haircuts, and hair extensions we offer, please get in touch here. The entire hairstyling team at our Baldwin Street hair salon are excited this week, with new Olaplex hair treatment offers available in Bristol for Christmas 2018 to offer our clients. Olaplex is recognised as one of the best hair treatments on the market, and we’ve been huge fans of the superb results it delivers for our clients. And to celebrate the festive season this year, Olaplex have announced a new treatment package, which delivers amazing hair care for clients in a proven and powerful home-based treatment, called Olaplex 3-4-5. 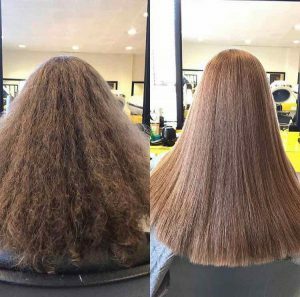 The Olaplex 3-4-5 Bond Maintenance System has been launched offering 100% guaranteed satisfaction as a new hair treatment solution for clients. Olaplex 3 is a Hair Perfector, which dramatically improves hair health, texture and strength in a simple-to-use, home-based bond building hair treatment. Olaplex 4 is a Bond Maintenance Shampoo, designed to repair bonds while gently cleaning all types of hair. It delivers moisture, strength and increased manageability with every wash.
Olaplex 5 is a Bond Maintenance Conditioner, which restores, repairs and hydrates without adding weight to the hair. It also removes damaged frizz to give strong, healthy and shiny hair. 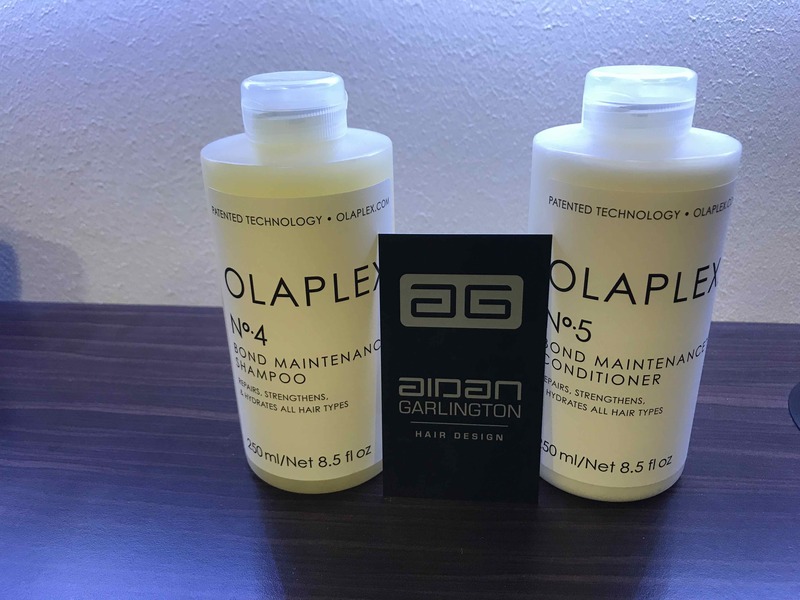 As this blog goes live, Aidan Garlington Hair Design is the ONLY Bristol hair salon to be offering Olaplex 4 and 5, new shampoo and conditioner products. 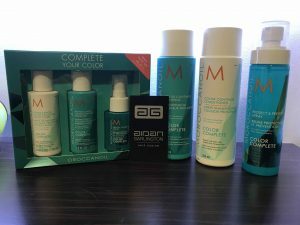 These products are currently available in-salon while stocks last for £25.85 each, when you mention this blog post. And as a special treat, when buying Olaplex 4 and 5 in-salon, you can also purchase Olaplex 3 for only £20, instead of the usual price of £32. 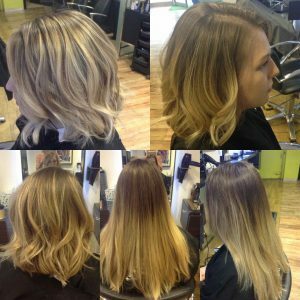 Again, please mention this blog post when you buy to get these exclusive Olaplex hair treatment offers in Bristol. So why not treat yourself to the perfect home hair treatment this Christmas? 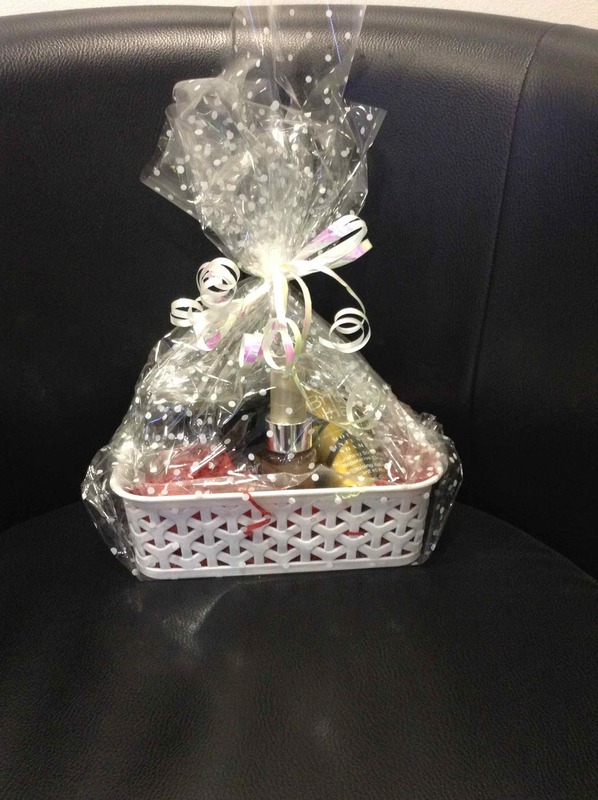 To see our full range of Olaplex hair treatments, Christmas party hairstyle ideas, red hair colouring products, Moroccan Oil gift sets and products, Autumn hairstyle choices, salon shampoos, Source Essentielle hair products, nourishing shampoos, barbering services, hairdressing services, British Hair products, blonde toning shampoos, Undercut hairstyles, British Hair products, hair moisturising treatments, hair care, highlighting, hairdressing, British Hair products, hairstyling equipment, hair straighteners, hair curlers, curling wands, hair treatments, hairstyling services, hair toning, hair colouring, haircuts, creative cutting, hair styling equipment, haircuts, and hair extensions we offer, please get in touch here. As many regular clients visiting our central Bristol hair salon know, our team of Baldwin Street hairdressers adore Moroccan Oil hair products. And we’re delighted to be giving an exclusive offer on new products in the Moroccan Oil range – Chroma Tech Hair Protection treatments are now available in Bristol. 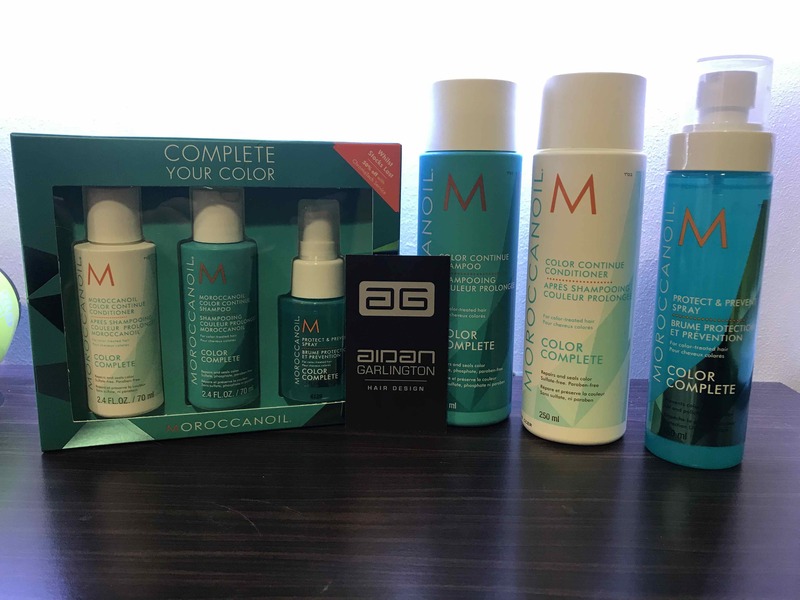 As part of the new ‘Color Complete’ range, Moroccan Oil are helping clients with coloured hair to extend the life and vibrancy of their hair colouring. Developed specifically to prevent coloured hair from fading and looking brassy, after 10 washes the Color Complete collection from Moroccan Oil has been scientifically-proven to extend hair colour life and vibrancy by 100%. Our new Moroccan Oil Chroma Tech treatments in Bristol are just amazing! The first stage is to use Color Continue Shampoo. Sulphate-free and gentle on coloured hair, it repairs both chemically and physically, so that the hair is able to hold colour more effectively and for longer. The second stage is to apply Color Continue Conditioner, which features a nourishing technology breakthrough in hair care, designed to help rebuild the keratin structure and lock in colour using new ColorLink technology. 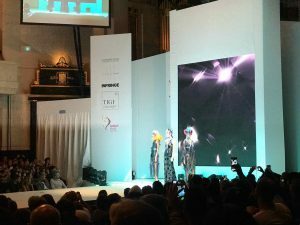 The third step is to use Protect & Prevent Spray, which works by shielding coloured hair from environmental factors such as UV rays, pollution and thermal damage. This new Spray from Morrocan Oil helps to reduce brassiness and fading of hair colour at the source, whilst this weightless leave-in conditioner also features ArganID technology to repair and seal every hair cuticle. To celebrate the launch of this new Moroccan Oil Chroma Tech in Bristol, we’ve got an exclusive offer to give new and existing clients. Color Complete Shampoo costs £19.50, Color Complete Conditioner is £20.65, whilst the Spray is £22.65. 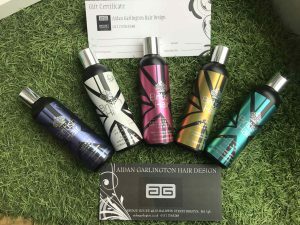 Clients can get the in-salon Chroma Tech service for only £10, whilst we also have trial packs of shampoo, conditioner and spray for only £13.27 – usually retailing £25. Available while stocks last at our Baldwin Street hair salon! Simply mention this blog post and ask in-salon for more details about these amazing new Chroma Tech treatments from Moroccan Oil in central Bristol. To see our full range of Moroccan Oil products, Moroccan Oil Chroma Tech hair treatments, Autumn hairstyle choices, salon shampoos, Source Essentielle hair products, nourishing shampoos, barbering services, hairdressing services, British Hair products, blonde toning shampoos, Undercut hairstyles, British Hair products, hair moisturising treatments, hair care, highlighting, hairdressing, British Hair products, hairstyling equipment, hair straighteners, hair curlers, curling wands, hair treatments, hairstyling services, hair toning, hair colouring, haircuts, creative cutting, hair styling equipment, haircuts, and hair extensions we offer, please get in touch here. 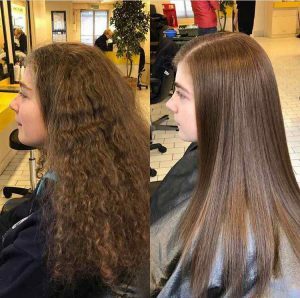 It’s been an amazing Summer, but we’re now starting to see more and more clients coming to our Bristol hair salon with sun lightened hair issues, looking for help, advice and hair colouring support to bring back their natural colour. The Summer 2018 heatwave has left many clients visiting our Baldwin Street hair salon with hair that looks bleached and washed out after weeks of intense sun. The issue has been to put the clients’ natural hair colour in for them. We offer a free hair consultation for all of our clients, especially those looking to utilise our expert hair colouring services, to ensure that the right tone, blend and hair colour mix is delivered to them during their visit to our styling team. When it comes to restoring natural colouring to sun-lightened hair, we start by looking at the level and extent of sun damage caused to the hair, roots, and the overall condition of the hair and scalp after intense heat exposure. When it comes to providing our hair colouring service to sun-lightened hair, we focus on applying highlights in to the roots if needed, to bring the roots to their natural colour. Part of the hair colouring process on sun-lightened and sun-damaged hair often involves applying lowlights on to the ends, after washing them out. This simple but effective hair colour service to hair roots and hair ends is perfect for re-establishing the hair’s overall natural colour, as well as providing a refresh of natural colour at the end of the Summer season for tired hair. A half-head colour will usually take between 30-45 minutes, with 30 minutes’ processing time for hair colouring applied. 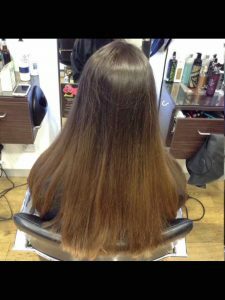 A cut and blow dry usually comes afterwards, giving a total chair time of roughly 1.5 hours, depending on length of hair and condition of roots. Ask for further details during your consultation. We also recommend that clients with sun-lightened or sun-damaged hair consider giving their hair additional moisture, to re-build the integrity of the hair, the roots, the scalp, and to promote better hair health overall. 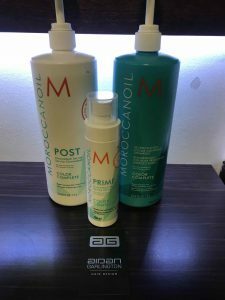 Clients can also get a fantastic new hair moisturizing treatment too – read this blog post to find out details on this great deal. We also offer a superb range of Summer hair care products in the Solar Sublime range – please visit here to find out more. Our Bristol Hairdressing Blog has handy hints, tips and hair care advice, as well as the latest products our expert team of hair colourists use and recommend – visit here to find out more. To see our full range of Sun-lightening hair colouring products, Summer Hair Care treatments, bespoke Summer hair styling, different Undercut hairstyles, British Hair products, Summer hair care tips, hair moisturizing treatments, hair care, highlighting, hairdressing, British Hair products, hair styling equipment, hair straighteners, hair curlers, curling wands, men’s hairdressing, hair treatments, hair styling services, hair toning, hair colouring, haircuts, creative cutting, gents hair styling, hair styling equipment, haircuts, and hair extensions we offer, please get in touch here.